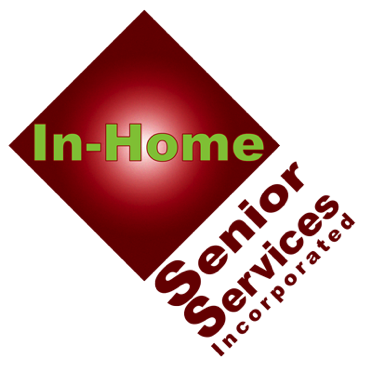 In-Home Senior Services Inc. was established in 1994 by Anita Francoeur as a private agency to provide in-home care and personal-care services that contribute to the overall well-being of senior citizens and their families. She retired in 2015, and the company is now owned by Kathleen Candage and Theresa Norton. In-Home Senior Services' mission is to enable people to stay in their own homes as an alternative to nursing homes or life-care housing programs. In-Home Senior Services emphasizes a continuing commitment to high-quality, compassionate, in-home care services. These services include a constant recognition of the dignity, independence and individuality of each person served. Our staff understands the needs and desires of our clients and we adhere to them as closely as possible. We are community oriented and work closely with various organizations such as the Alzheimer's Association, Southern Maine Agency on Aging, community hospitals and home health agencies, hospice and elder attorneys and doctors, to mention a few. Our services are paid for by private pay, MaineCare, Veterans Administration, and long-term care insurance policies. Accountability. The owners are in the store. Actual people answer the phone. Buy local. It’s locally owned and women owned. Flexibility. Clients have a broad range of options in the hours of service they want to schedule and the type services. Rates mostly stay the same days, nights and weekends. And there’s no upcharge for minimum hours. Longevity. In-Home Senior Services is among the first in area to do this type of work and has been in business nearly 25 years. Reputation. Through both written endorsements and word-of-mouth, In-Home Senior Services families offer up praise for the company’s attentive, personal and compassionate service. In-Home Senior Services also maintains an outstanding reputation among professionals such as social workers and discharge planners. Professionalism. A registered nurse on staff visits homes and creates a care plan for each client with the goal to keep each person safe and healthy at home. Professional development. Employees receive the highest-quality, state-certified training. Kathleen Candage is a native of New England spending most of her life in southern Maine area. She moved to Limerick in 2013 to be closer to her family. She started working with In-Home Senior Services in early 1994 as a homemaker/companion. She took one of the earliest Personal Care Attendant course that the state offered, and subsequently worked her way up into the office, helping with scheduling and billing. In 2002 she became part owner and began learning the ins and outs of running a business. Her specialty is scheduling. She has been involved with Alzheimer’s Association and volunteering in independent and assisted living facilities making and creating cards with the residents. When not at work she enjoys doing crafts and spending time with husband, son, daughter-in-law and two granddaughters. Theresa Norton grew up in Maine surrounded by a family of entrepreneurs. She has worked for In-Home Senior Services since it opened in 1994 in the bookkeeping department. She later joined the office team on a full-time basis. Her ability to multi-task and problem solve has enhanced the business so much, that in 2015 she became co-owner of IHSS. She lives and works in Gorham, where she is active in the community. For several years she was the secretary of a local group called TRIAD, a cooperative partnership among law-enforcement agencies, elder-service providers and seniors in the community. This allowed her to do community service for the elderly. She stays busy with her two children, husband, friends and a large extended family. Her favorite part of the day is when she can make someone laugh. Born and raised in New Jersey, Tina moved to the midwest to be closer to family and raise her children. At 40, she went back to college and earned her RN at University of Cincinnati. Afterward, she worked in a hospital for three years until beginning in skilled home care. In 2012, Tina relocated to Maine for an adventure with her husband of over 25 years. Here, Tina continued in the field of home health nurse and case manager. Tina has been with In-Home Senior Services for over four years and has grown with the company and her role as registered nurse. Beginning with reassessment visits for our client base and supervisory visits for our attendants, her role has expanded to ensure continued education and orientation. One of her favorite events is our yearly in-service, a one-day event in which the entire field staff attends to sharpen skills and get new information. In the role intake coordinator, she assesses and develops an independent-care plan for each client. Tina also enjoys assisting with public events and outreach. Other enjoyable events include making homemade greeting cards with seniors. Tina also enjoys gardening, hiking, swimming and being outdoors. She recently renewed her artistic energy to learn stained glass art. She is also a member of Stroudwater Christian Church and volunteers to educate about addiction. Deb Charron was born in Maine and moved a few times as a young adult, returning to Maine when her husband’s dad became sick. She’s worked for In-Home Senior Services first as a PSS starting in 2011 and 2016 transitioned to work in the office as office support and assistant scheduler. Deb has had the opportunity to travel the world with her late husband, Stevie, in a musical capacity. Deb enjoys her family, cooking and curling up with a good book on a rainy day. Personal Support Specialist (PSS). Personal Support Specialists with In-Home Senior Services are certified with the state. They attend a 50-hour course that teaches ADLs (Activities of Daily Living) and IADLs (Incidental Activities of Daily Living). After completing this course, there is a hands-on test and a written test. The state issues a PSS certificate upon passing these tests. Homemaker/Companion. A homemaker is a staff person who can do light housekeeping, meal preparation, shopping and transportation. A companion can do the same tasks but the focus is more on keeping the client company in the home and engaging the client in recreational activities such as board games, walks and reading aloud. Homemaker and Companion responsibilities often overlap. ... caring, thoughtful and, at the same time, businesslike and efficient.